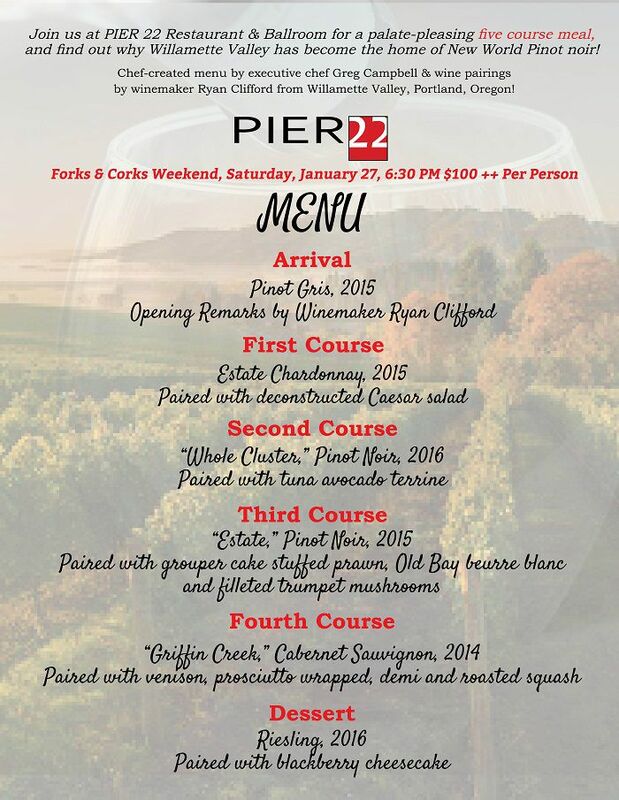 PIER 22, downtown Bradenton's landmark restaurant, is teaming up with 2017 gold medal Forks and Corks Grand Tasting winner Willamette Valley Vineyards as part of a weekend of winemaker celebrations taking place throughout the Florida Suncoast area. Winemaker Ryan Clifford and PIER 22 executive chef Greg Campbell are hosting what is sure to be a palate-pleasing full-course dinner on Saturday, January 27 starting at 6:30 p.m. Courses are thoughtfully planned to complement one another and the Willamette Valley wines with which they are paired. Additionally, paid guests are automatically entered to win a pair of tickets to the sold out 11th Annual Forks & Corks Grand Tasting event happening January 28 at The Ringling Museum. Ticket winners are announced at the close of the PIER 22 & Willamette Valley Wine Dinner. 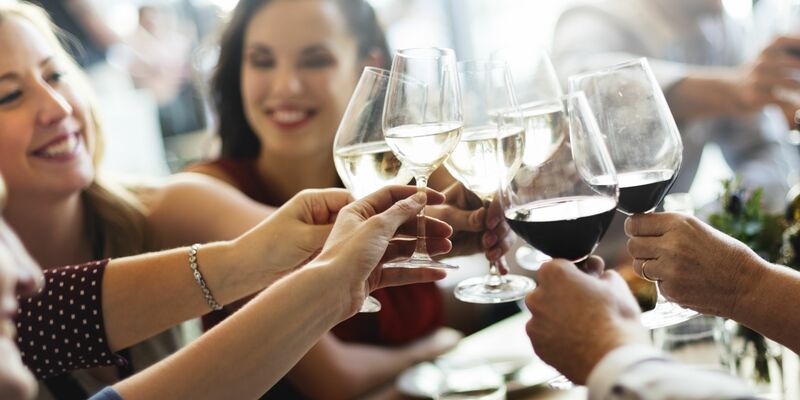 In addition to celebrating Forks & Corks style, this tasting experience acts as a social gathering where hosts and guests come together to share their passion for foodie culture including a discussion of exceptional wines, scratch cooking, travel and more! Guests can pre-register by calling the PIER 22 reservations desk at 941.748.8087. Limited space is available. Cost per person is $100 plus 7 percent tax and 20 percent gratuity. All guests must be 21 or older to attend. PIER 22 Restaurant, Patio & Catering is genuine Bradenton and sits directly on the beautiful Manatee River surrounded by the Twin Dolphin Marina. PIER 22 provides guests with scratch-cooked meals and authentic waterfront dining 365 days per year. From casual meals on the patio to upscale dining, PIER 22 offers a welcoming ambiance for all guests to enjoy. With rooms for every occasion, PIER 22 can accommodate your party or event with up to 300 guests.